SO CUTE! 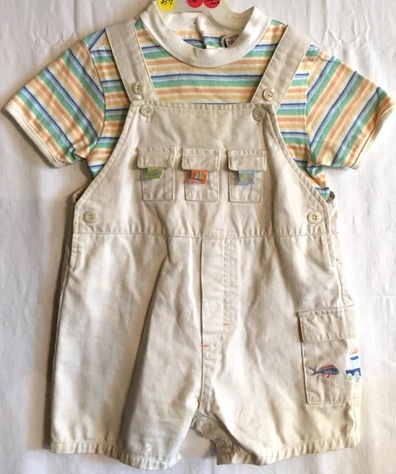 Overalls has snaps around the inside of the legs for easy diaper changes. Great condition, still has lots of wear left. Washed with All Free and Downy Free before packing it away.